Little does the town of Skinflint know that it’s two newcomers, Slim and his grandson Luis, are about to bring out the best in the colorful characters that make up this wild, wild west outpost. With a magic “fandango” bean, the two promise a meal that will never be forgotten, but a few extra ingredients couldn’t hurt. As the pair sing a memorable and quotable refrain (that young readers will also enjoy reciting every few pages), “Chili’s good, so is barbecue, but nothing’s FINER than FANDANGO STEW,” one by one the townsfolk chip in: the laywer brings potatoes, the banker salt and pepper, the blacksmith chips in a purple onion, the social club their finest heirloom tomatoes and plenty of rice, and at the schoolteacher’s suggestion bushels of veggies make their way into the pot. A magical vegan fandango stew! Besides the wonderful moral of a community’s generosity and kindness resulting in sweet rewards, the text teaches its readers fun western and Spanish words: desperado, amigo, buckaroo, fiesta, and many more. For a western read, there are of course some phrases (“hog-tie me with a noodle”) and images (Luis on horseback) that are not so animal-friendly, but the overall message is quite nice and features the making of a vegan dish, a rarity I think for this genre. Illustrator Ben Galbraith’s work is, simply put, amazing. The illustrations are hip, curious, and I just love them. I think you will too. 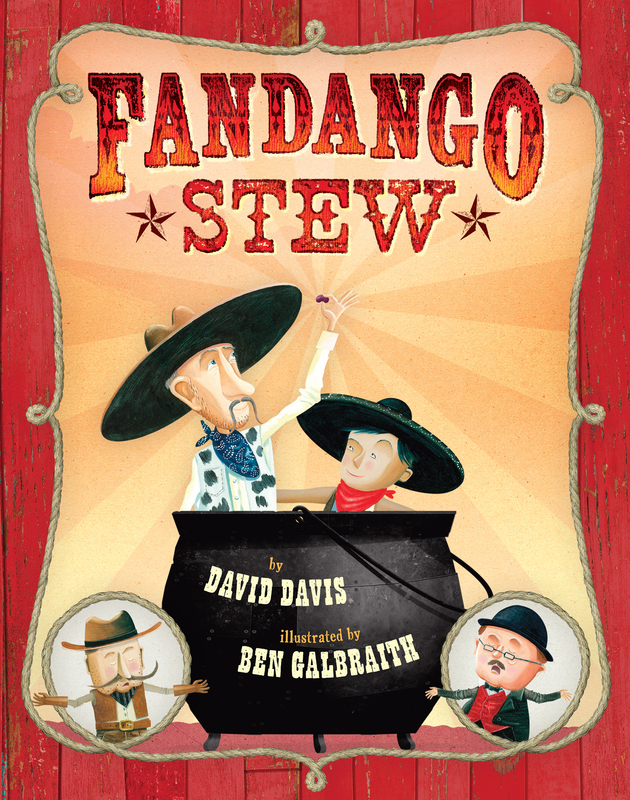 Now go make some magical fandango stew with your little compadres.